So, you need a new set of wheels but your credit's less than stellar. Does that mean you're out of luck? Armed with the right knowledge, you can secure one of the many bad credit car loans out there and leave the bus fares and worn out walking shows behind. Finding a solid credit car loan with reasonable monthly payments proves tricky with bad credit. But don't give up! We've got you covered, so read on for tips on how to get a car loan with bad credit. Are you at the end of your rope when it comes to finding a low-interest auto loan? Do you fear car loan bad credit will hamper your lifestyle for years to come? 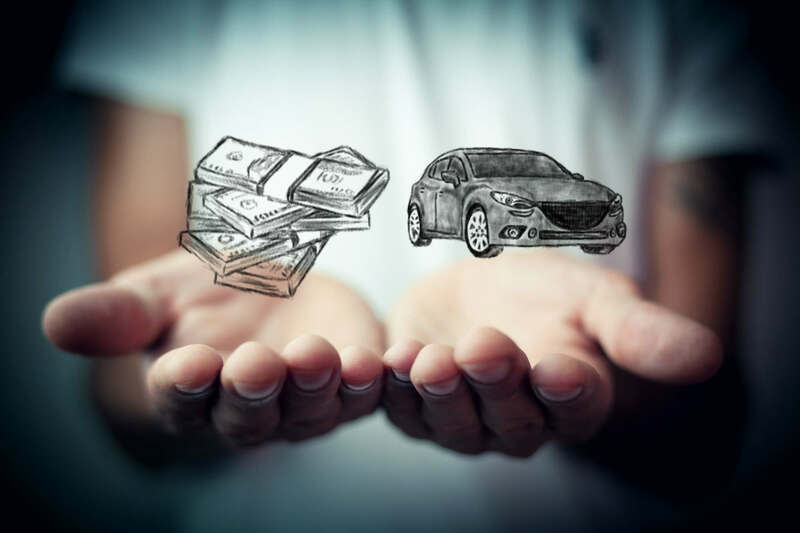 When you begin your search for car financing, you may find lenders only willing to offer you subprime car loans, which translates to hefty monthly payments and less-than-favorable terms. But that doesn't mean you have to plan on hoofing it or uber-ing for the foreseeable future. You will need to do some serious research, however, and this should start with knowing and understanding your credit score. Services offering free credit scores abound, and the best ones also guide you through the steps necessary to improve it. Once you know the "what" and "why" of your credit score, you can create an action plan to repair it. This may include paying delinquent bills current, communicating with credit agencies about mistakes on your report, and getting a gas card or other small credit card that you pay off consistently to start building your credit history. When you get proactive about reshaping your credit score, you'll feel a surge of pride and a new sense of control over your future. As your score starts climbing upwards, you'll also place yourself in a more favorable position to work with lenders. While you might feel that visiting your local bank or credit union is a dead end, give it a shot. Why? When you pre-qualify with a bank or credit union, it places you on higher ground when negotiating with bad credit car loan lenders. What's more, having a long-standing relationship with a bank or credit union might help you get approved at a decent rate despite your current credit score woes. You never know until you try. It's important to understand one of the inherent differences between banks and credit unions as you go through this process. Banks represent for-profit institutions who often prove stingier with their resources. But credit unions remain nonprofit. That means they may prove more willing to take a chance on you. Of course, you'll need to fulfill the credit union's membership requirements. These often prove as simple as filling out an application and opening a bank account. As you begin shopping for vehicles, you need to do the same with lenders. Even with bad credit, you have a huge choice of potential lenders, so don't operate out of fear and desperation. Shop around to find the best lender for you. There's a caveat, though. As you start exploring different car loan lenders, their applications will involve a hard credit check. This activity often results in a drop in your credit score, so use the window of time before your score updates to do a concentrated search for lenders and cars and make a purchase. Otherwise, if the process gets too lengthy, you might find yourself in an even worse position to negotiate with lenders. Many potential buyers get so caught up in monthly payment figures that they neglect to think critically about the terms of the loan. This can lead to paying far more than your vehicle's actual value over the term of your loan. According to Forbes, "Auto loans have been getting bigger, longer, and riskier. If you're thinking about taking out a car loan of five years or longer, you may want to think again." While low monthly payments might look good at first, how much interest will you end up paying in the long run? Low monthly payments are the byproduct of a drawn-out loan timeframe, which means more interest payments. Don't end up upside down in a loan before you even get started by choosing one with accumulated payments exceeding the actual value of your vehicle. Watch out for subprime loans, too. While the subprime business has been booming, these loans mean less favorable terms for you and higher payments. Do you have a friend or family member who knows cars? Or, maybe they're an excellent negotiator? If so, bring them along to help you deal with lenders and car salespeople. Just having someone by your side might make you feel more confident. If that's the case, bring them along. You'll need all of the confidence you can get when dealing with salespeople and lenders who make a living getting the most favorable terms for their sales and loans. By reading this article, you're arming yourself with education. Combined with a little moral support and outside reassurance, this proves a potent combination when it comes to strengthening your negotiating position. A co-signer can also prove a strong ally in your corner, but you must guarantee you can make monthly payments before asking anyone to do this for you. After all, if you make delinquent payments or fail to pay at all, your co-signer will suffer. And this could permanently affect your relationship. Unfortunately, there are wolves among the sheep when it comes to lenders specializing in poor credit car loans. You need to avoid these individuals like the plague. Things to watch out for? Avoid loans contingent upon the purchase of add-ons, after-market services, insurance, or extended warranties. These represent red flags that let you know you're dealing with a wolf. While we're on the subject, avoid making decisions based on desperation or hopelessness. Don't assume that just because you have bad credit, you deserve miserable loan terms. And don't let yourself fall victim to scams and add-ons. Remember, by doing your research, you come to the loan negotiating table with a firmer grasp of your options. And once you find a decent loan (from a lender that's not a wolf! ), you can pay it down, improve your credit, and refinance for even better terms later on. What Interest Rates and Fees Should You Expect? When it comes to bad credit auto loans there are respectable financial institutions and also some loan companies best left alone. You should expect higher interest rates if your credit report says you have poor credit. But you do not have to accept excessively high Annual Percentage Rates (APR) or dealer doc fees. Approach multiple lenders before making any final decision. Of course, one of the most important ways to keep your car loan payments low is by opting for an affordable, reliable vehicle. As a car buyer it is your job to do the research. So learn which makes and models best hold their value. For used vehicles, check out their Kelley Blue Book value. 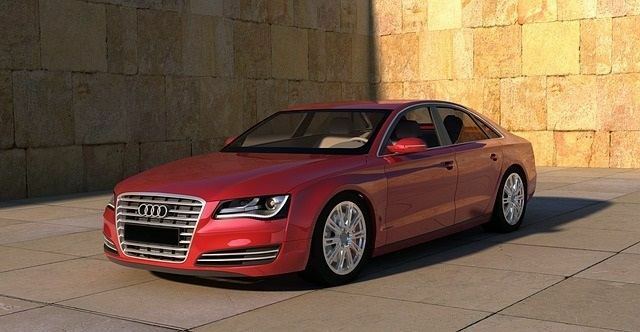 Do expect the car dealer to offer you the correct vehicle when you approach them to buy a car. You'll also want to check out the safety records, recall histories, and customer complaints about various vehicles. Remember, you have the right to ask dealerships for the CARFAX report for any vehicles that you may consider purchasing. Although most financial planners recommend paying down previous loans and repairing bad credit before making any major purchases, owning a car is not an option for most Americans. The setup of many of our cities and towns makes public transportation impractical, unreliable, or even non-existent. What's more, most employers assume (or even require) that employees maintain a consistent means of getting to and from work. After reading this article, you now realize that you have many options when it comes to car loan lenders. Of course, you need to do your research so that you place yourself in an advantageous seat at the negotiating table. This means understanding your current credit score, creating a plan to improve it, and then acting on this plan in a consistent, responsible way. If you need auto financing with bad credit then the burden is on you to interview the loan companies you will be dealing with. Even if you feel it's a shot in the dark, seek out pre-qualification from a bank or credit union. If you secure it, you have another negotiating chip at the table. In terms of research, explore which affordable vehicles provide the best value for you and your lifestyle. Learn how to negotiate with car salespeople to get the best pricing possible, too. If you know someone who has a firm knowledge of cars or can handle negotiations with a poker face, bring them along for moral support. They could just help you get better rates on loans and cars. You might also benefit from asking a trusted family member or close friend to co-sign on an automotive loan for you. But only do this if you're absolutely certain you can uphold the terms of the loan. The last thing you want to do is drag family or friends into a bad credit tailspin and permanently damage your relationship. Interested in learning more about bad credit car loans? Or maybe you're looking for easy loan approval options with a poor credit score for other big purchases? We've got you covered! Follow our blog to stay on top of the latest news for repairing your credit and moving forward with life. Or, contact us today with your financial questions and concerns. Take steps to improve your credit, it will be helpful in the future.